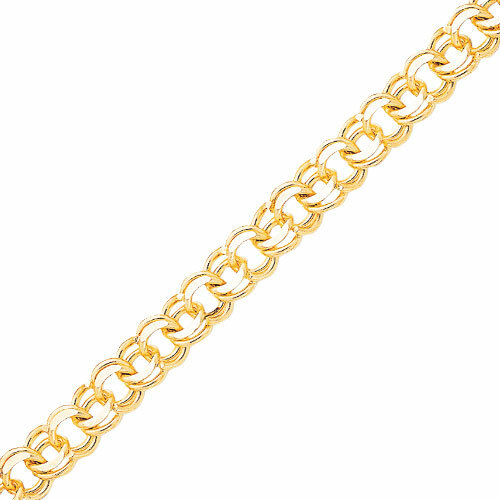 Jewelry: 10K Gold Solid Double Link Charm Bracelet. Discount Jewellry. Lobster Size: Various More Info: A beautiful, full-bodied piece! 10K Gold is formed into gorgeous bracelet of double, interlocking solid rings. Considerable weight allows extra support for favorite charms. Gold finish is polished as bracelet features lobster claw clasp. Perfect for a bolder statement!